It is no secret that stone is a versatile medium. It can be used in many different ways. This article highlights some unique ways to incorporate stone into your home. Stone bathroom accessories are the perfect complement to bathroom countertop or vanity. It is an unexpected touch that adds a sophisticated look. Columns are commonly made of stone, but many people dont think of adding them to the inside of their home to create architectural interest. 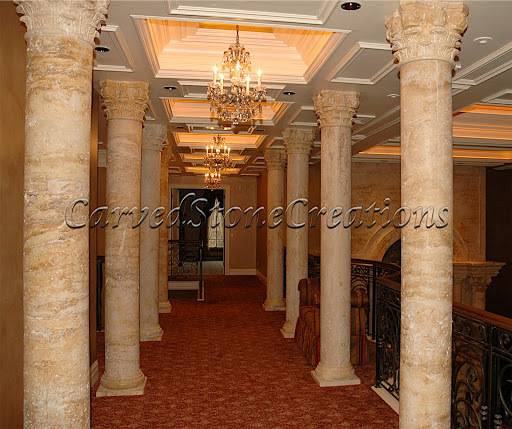 Stone columns create a regal look and are very unique. It doesnt matter what room they are in, stone columns work in various situations. Check out the pictures below for some inspiration for how to use stone columns in your home. Check out more pictures of columns here. Why use a typical faucet when you could have a unique tub filler to fill up your bathtub? Tub fillers can create an enchanting look in your bathroom. This beautiful tub filler is a mermaid; the water pours out of her shell. Click here for more information on this tub filler. Accent walls create a lot of interest in a room, but skip the paint, try using stone to create an accent wall. A beautiful stone will create a unique texture to your wall creating a lot of interest. Here are some examples of stone used as an accent on the wall. 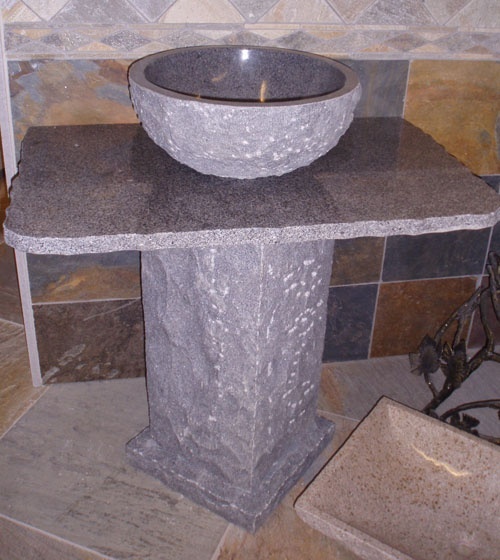 It may be obvious that stone is a popular material for sinks, but boulder sinks are a unique stone sink design. If you are looking for a beautiful rustic look, a boulder sink is perfect for you. Check out more boulder sinks here. Try incorporating one, or all, of these unique stone use ideas in your home. For more design inspiration, visit our ideas gallery.